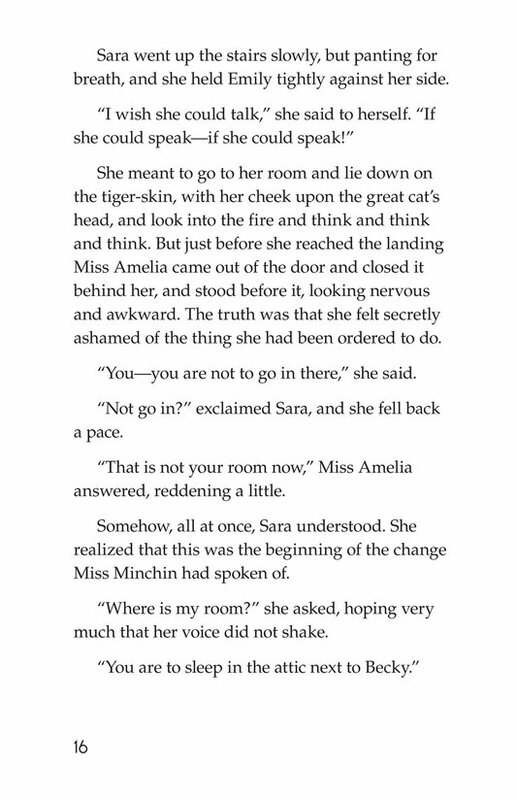 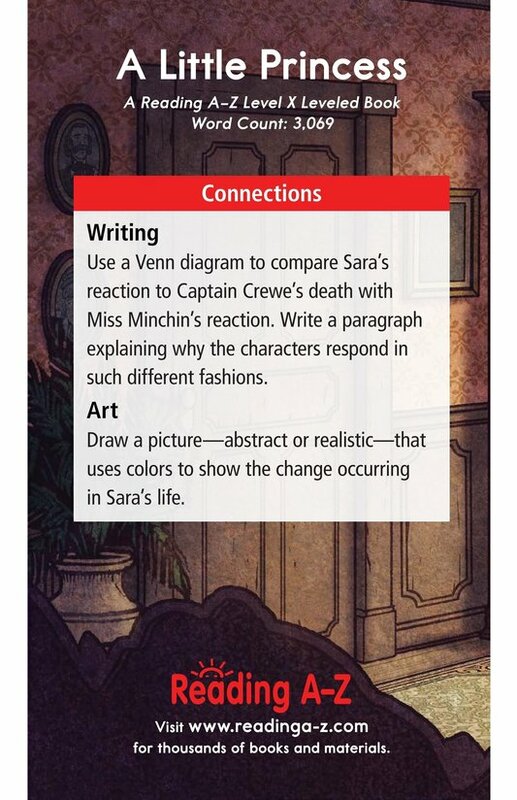 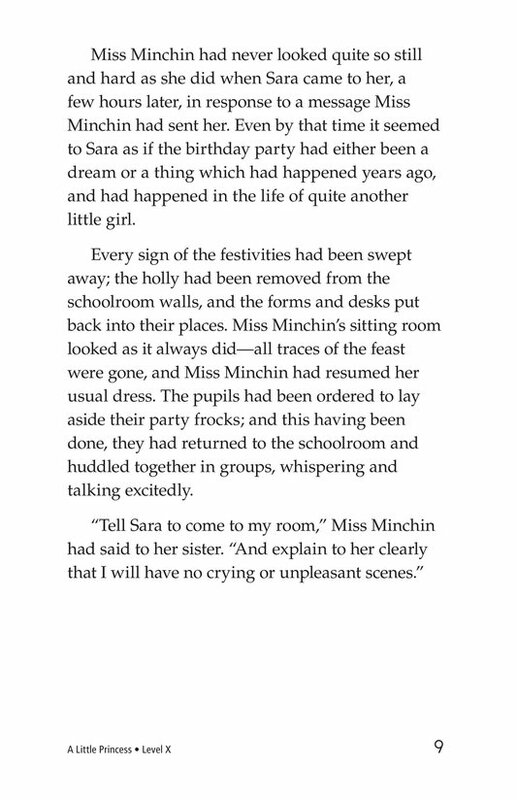 Following Mr. Barrow's revelations about Captain Crewe's death, Miss Minchin delights in explaining to Sara how from this moment forward, her life will never be the same. 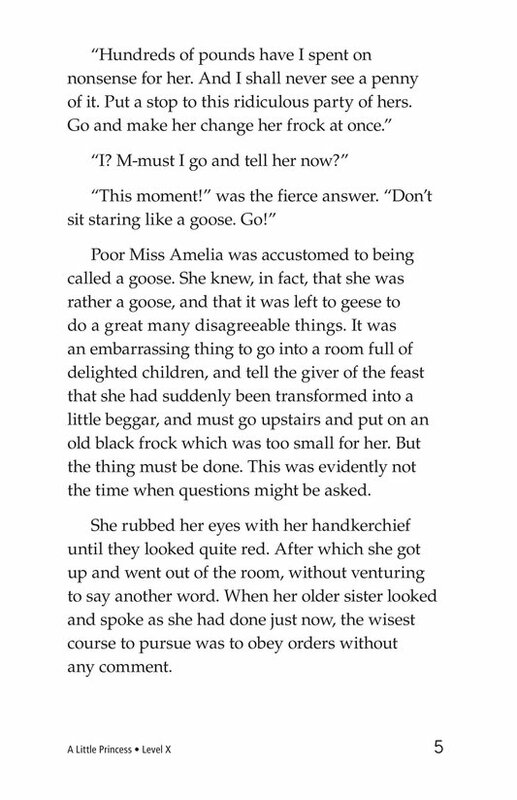 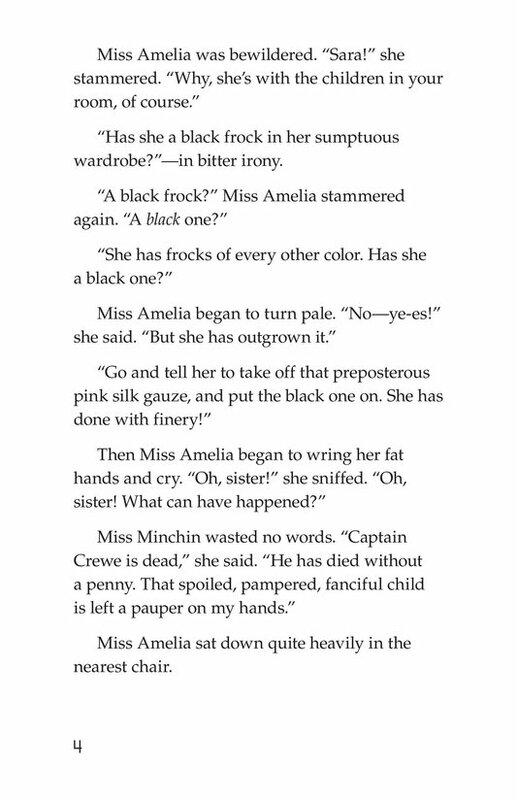 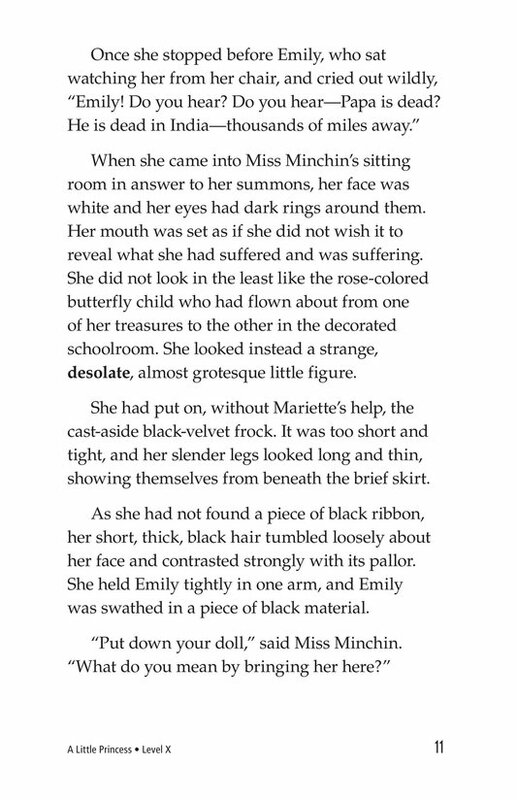 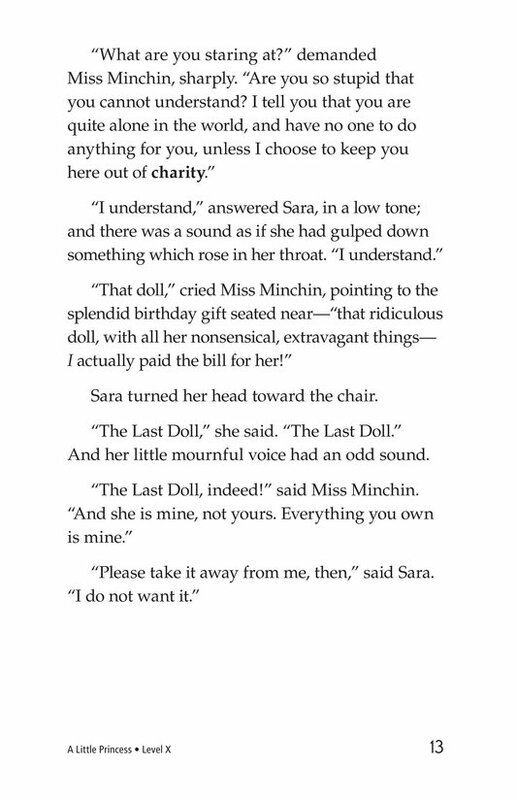 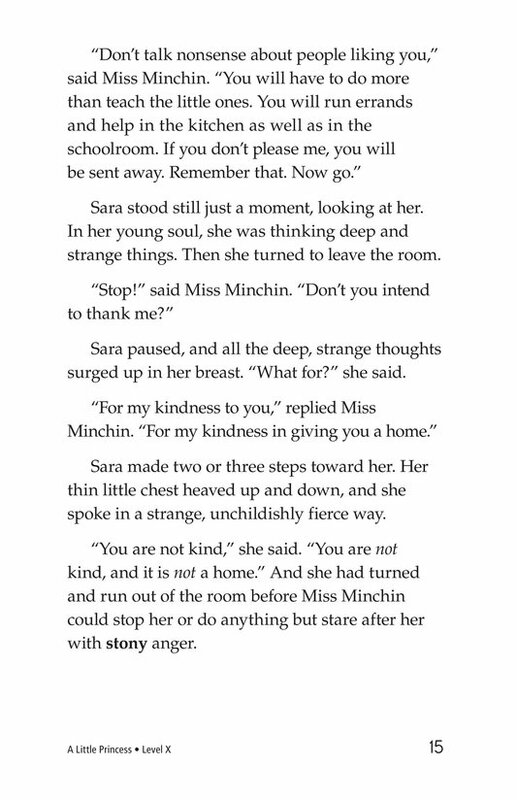 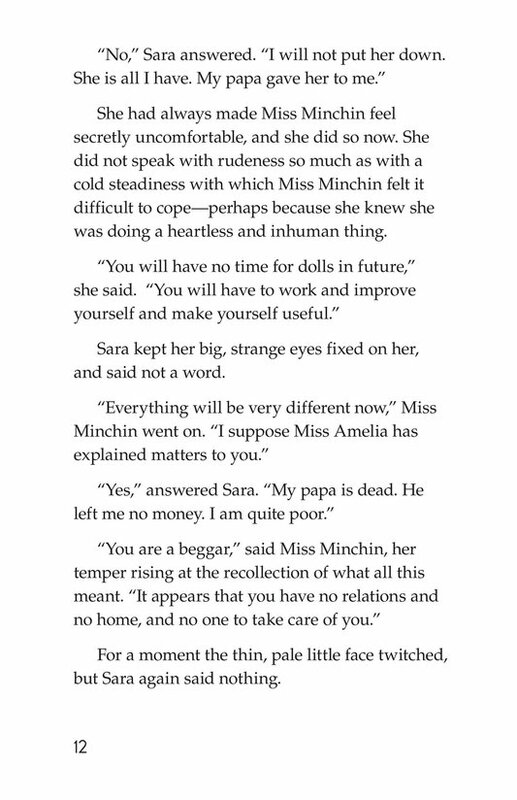 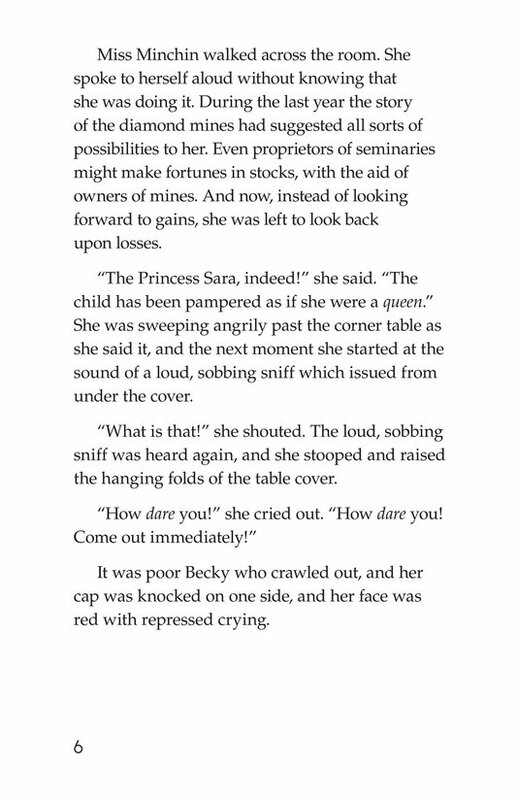 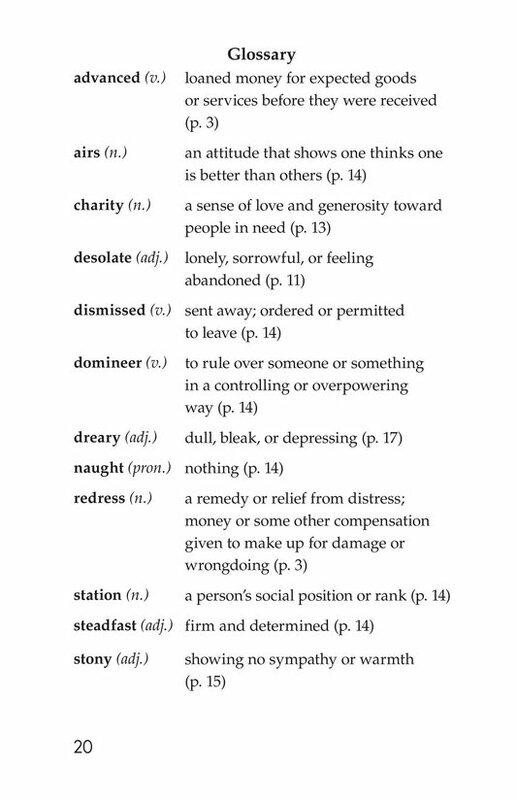 No longer a little princess, she is now a beggar, completely dependent upon Miss Minchin's generosity. 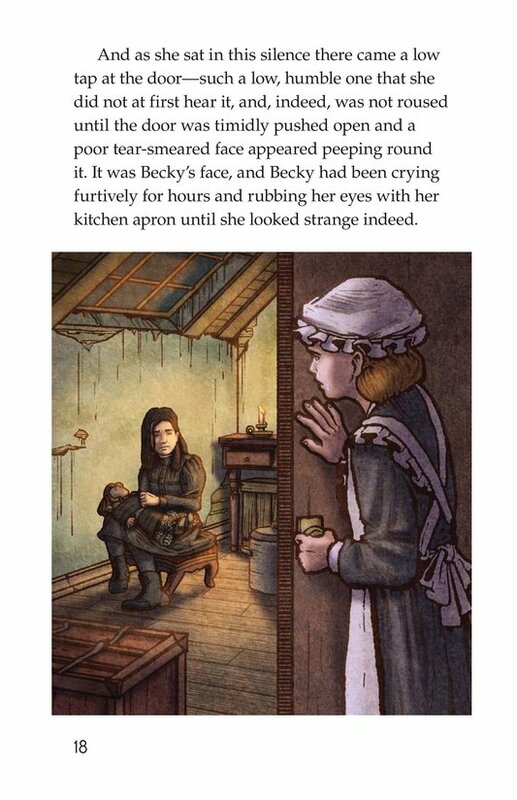 She must work for a living. 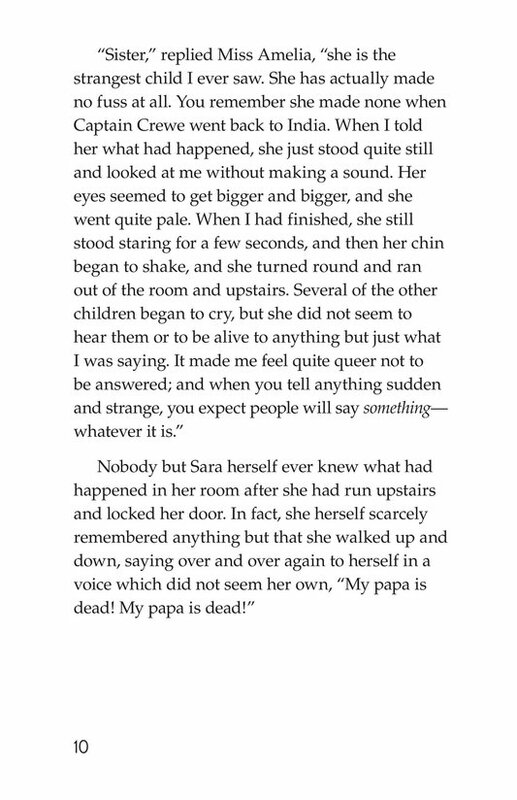 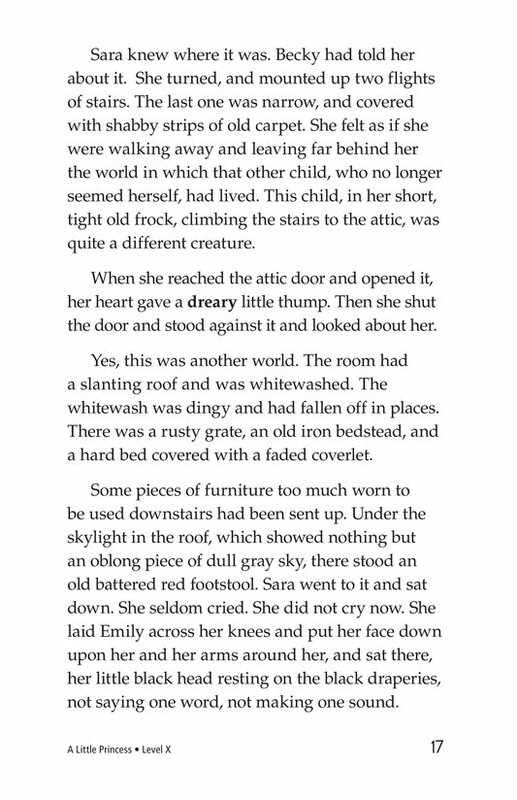 She must leave her comfortable rooms and sleep in the shabby attic room next to Becky's. 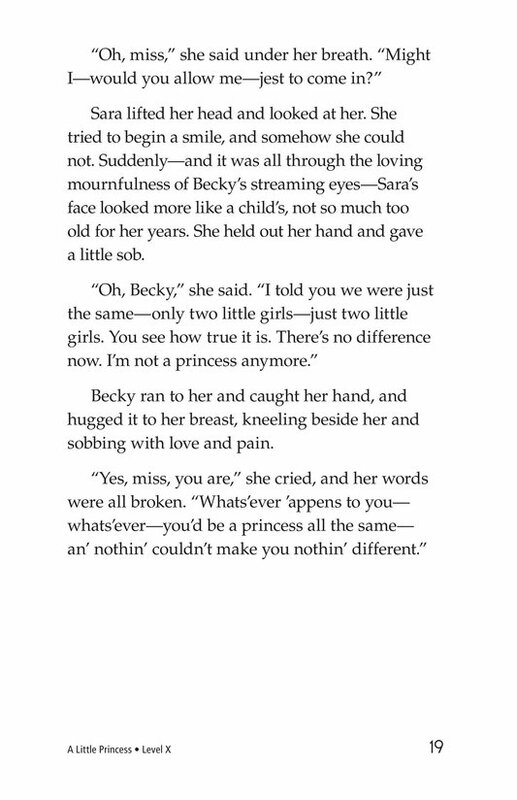 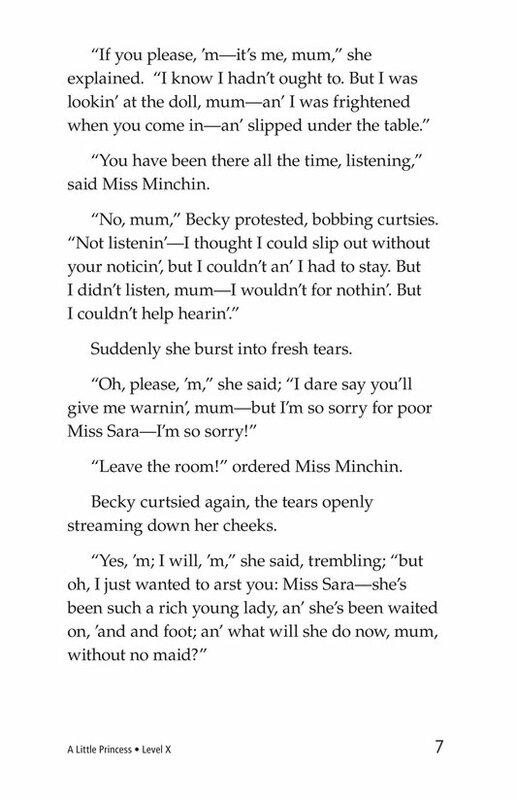 While Miss Minchin is without compassion for Sara, Becky is full of sympathy and concern for her friend. 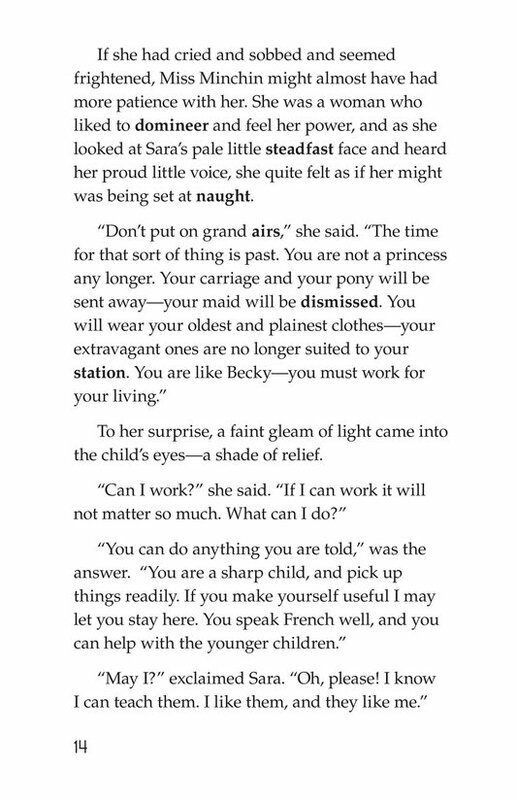 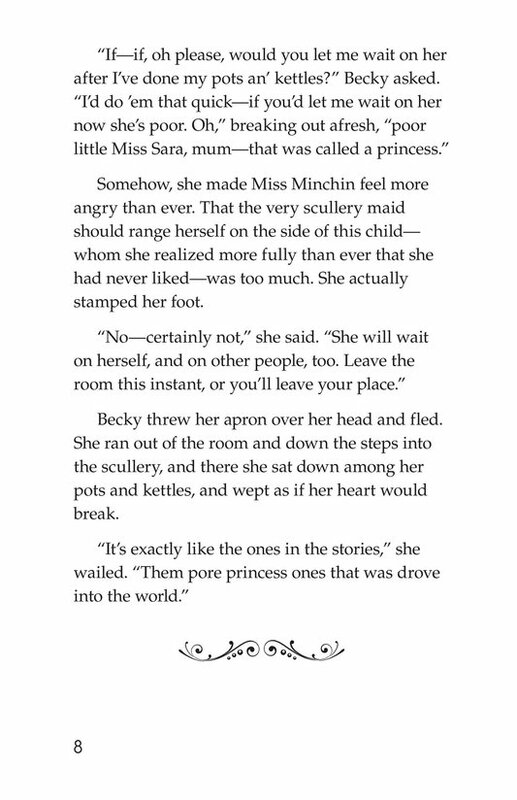 She tells Sara that no matter what, she will always consider her a princess. 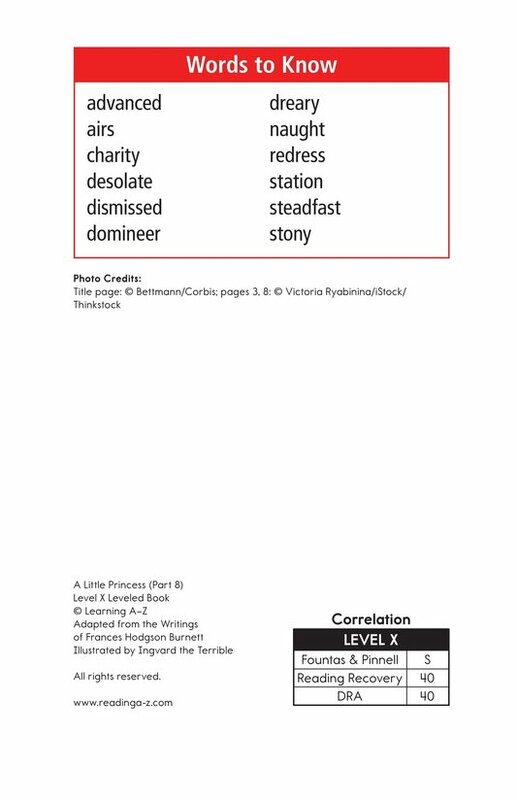 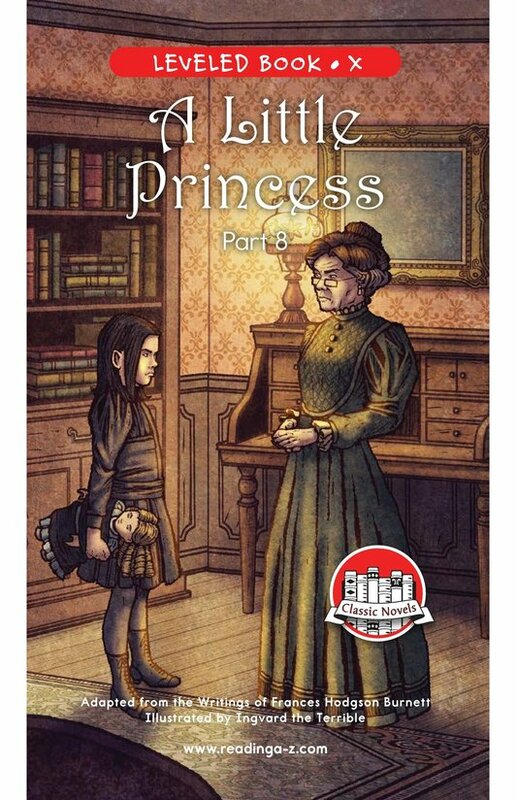 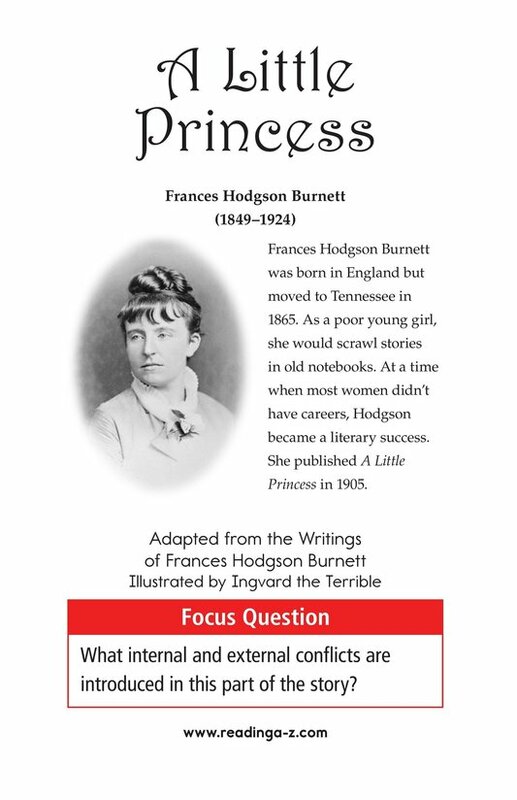 See A Little Princess for other parts of this Classic as well as the lesson plan, worksheets, and discussion cards.